Q) My Citroen Xantia keypad is faulty - how can I get it to start? I have a 1996 Citroen Xantia and have red and green lights on the keypad. It will not accept the 4 digit code and instead stays red/green and won't start. Do you know how to correct this? A) You wouldn't be the first person to have a problem with the Xantia's keypad. We spoke to specialist the Chevronics Centre, they suggested disconnecting the battery for half an hour and then reconnecting it. If this doesn’t work try switching on the ignition for 30 mins, which should reset the system. If it's a diesel you can bypass the system by running the car then removing the block connector on the back of the keypad - but you can’t do this on the petrol models. Q) How do I know when a wheel bearing needs fixing? How do I know when my front wheel bearing needs fixing? What noise or feel will I get from the car? A) You'll hear a low drone. But the way to check is to jack the car up half an inch and try to pull the wheel in and out. Any movement and you need a new wheel bearing. Q) Is an engine warning light an automatic MOT fail? Is it an absolute fact that an engine warning light that stays on permanently once the car is up and running is an MOT fail? A) The engine warning light is major failure point on the MOT, but some older cars are exempt. For example, the rule does not apply to diesels that were registered before 1 July 2008 and petrols that were registered before 1 July 2003. Q) How do I keep a petrol particulate filter in good condition? We have a Fabia TSI automatic and live in a rural area so speeds are low and limited to 30mph for miles around. The auto keeps the revs as close to 1500 as it can so there is no way to drive at 2000rpm. Skoda required a motorway trip to clear the problem - experimented with that idea which took an 80 mile trip to clear. Does this mean that I will have to do an unnecessary trip every three months to run any new car as they are all now fitted with PPF? A) You can override the DSG to keep the revs up to around 2000rpm until the engine has warmed up. This is the first report received of the problem on a Skoda. 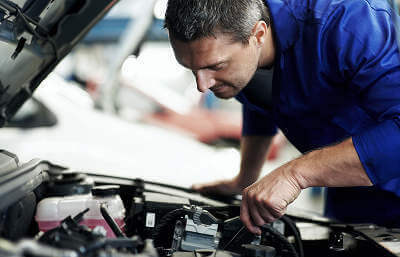 Q) The coolant system of my car is contaminated with transmission fluid - what can I do? I own a 2012 Seat Exeo ST 2.0 TDi Auto. One morning I found a pool of transmission fluid and water on my drive. It was towed to a SEAT main dealer and they informed me that the coolant system is contaminated with transmission fluid. The two possible fixes are changing the gearbox and cooling system at a cost of £10k or changing the radiator, flushing out the system and topping up the gearbox at a cost of £1000.